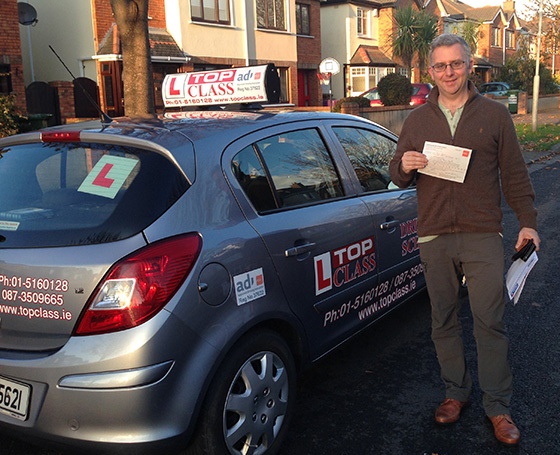 Passed my test today in the Finglas Test Center. I’d just like to thank Pat for all his tips and advice that helped me pass on the day. He really knows his stuff and made sure I knew exactly what to do to pass the test.